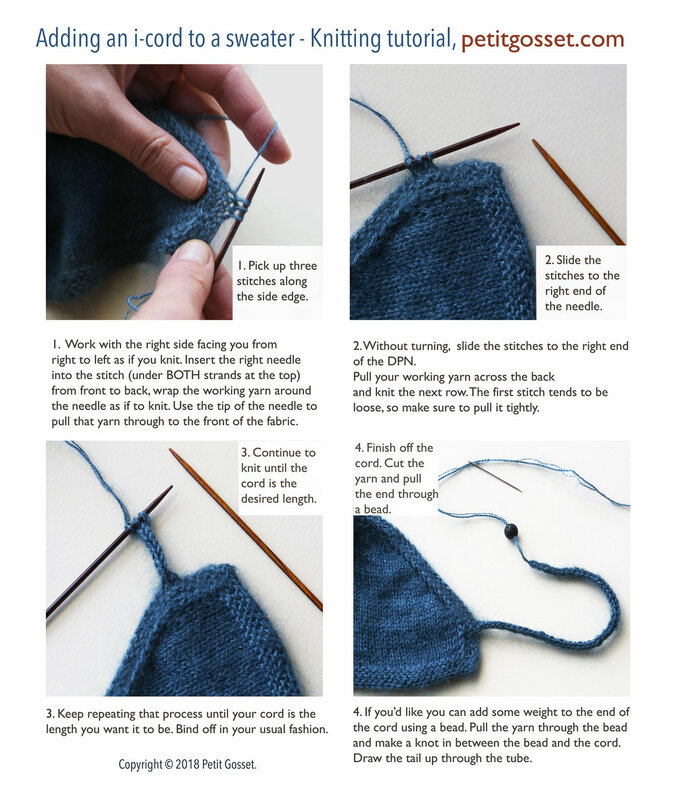 How to Knit Ties for a Wrap Style Sweater. Free Tutorial. A romantic winter season is upon us, so why not wrap your little one up in this cozy sweater! The sweater is easy to knit and is constructed from the top down on circular needles. (You can find the pattern and the list of materials needed in my shop). First, when the pattern was released in Spring, the model sweater was knitted with lovely linen yarn and featured a silk bow on the side. But with the onset of autumn, I’ve decide to replace the linen with warm and cuddly wool. Knitted ties make an easy closure and add a pretty, feminine touch to the whole look. In this little tutorial I’m going to show you how to add an i-cord tie to a sweater. Find the correct position on the garment. Make the ties on both front panels. 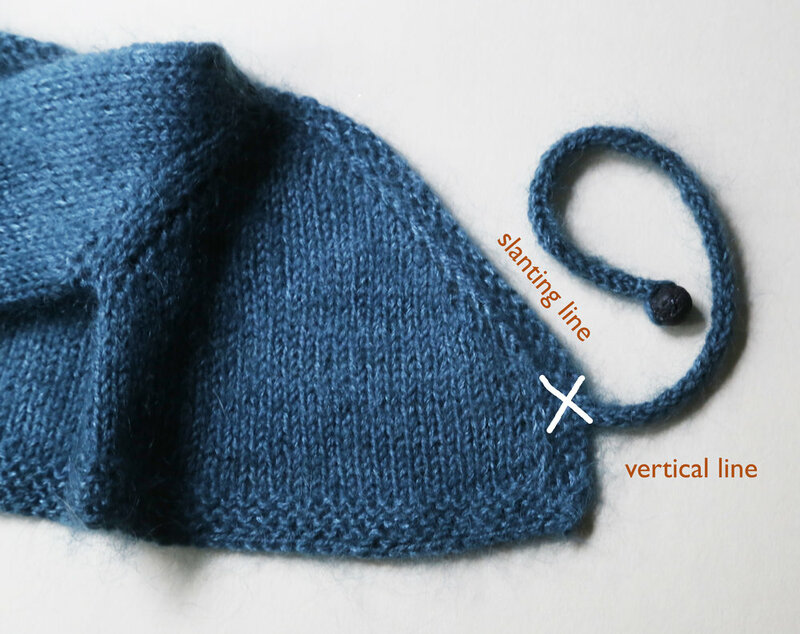 The length of the inner tie should be longer (left panel of the sweater) as it goes around the body and comes out through the side hole in the sweater. The approximate lengths of the ties are: 14” and 7” (35cm and 18 cm).